Scary Good – We Got This! Yesterday afternoon, I get a call from Sue… but am not able to answer. She immediately calls back and I can’t get to it. She calls a third time. Now I’m scared. She, obviously, is desperately trying to reach me. I know this won’t be her normal call of: 1) checking in on Ryan, and 2) giving me a list of annoying things to do. So, I solidify what I am doing with Ryan and answer. I feel fear run down me, from head to foot, like someone just poured a bucket of paint on me. I immediately do something I have learned — over the past year-and-a-half — to prepare myself for bad news. I mentally “step outside” my body, disengaging myself from emotion and fully falling into the purely logical. A mindset that protects me from being crushed. I wish I could explain this better, but I’m not sure there are words (at least not in my vocabulary). Really, I think you probably need to experience it to understand what I’m saying. I’m begging her to settle down and a least give me a flavor of the news. She says “I just got off the phone with IBRF”. Well, here it comes, I think. More bad news in a 18 months of bad news. I’m totally in mental and emotional lock-down. No fear. No sadness. I know I have successfully shielded myself from heartache. Nothing can hurt me. At least not in that moment. Honestly, I have no specific memories of our conversation. It’s like an impressionist painting… not entirely clear, but conveying a theme. The brushstrokes had painted a hopeful picture. 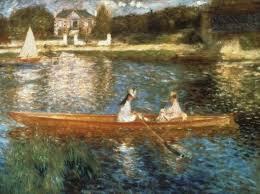 Renoirs "Boating on the Seine". My favorite of the Impressionists. You know, the more I think about it, it might be better to describe it as a charcoal sketch. Absent of color and detail. I asked Sue to write down her interpretation of the call and email it to me. Basically… (keep in mind I don’t understand the medical terminology and my hand was shaking the whole time they were talking, so take my interpretation as such) …they said the qEEG from Jan to Apr was very different. It looked like a different person. We shouldn’t jump to any conclusions, but he is showing signs of recovery. I think they said the “delta waves” were stable now, but he still has excess waves. These need to go away from him to wake (I think). I think they also said there were no alpha before, but now there are some (not nearly enough), but some. The beta & high beta are showing abnormalities of the front part, cohesiveness (I think) which leads to difficulties with communication. They want to do the next qEEG in mid-May and will be sending him to the Meadowlands for some scan that can show the electrical mass of the circuits in the brain (only 3 of these machines in the world). They are going to continue to adjust the medicine…although he is on 47 different things, they are selected and modified with precision as they are all working together with the therapies to re-organize the metabolic functions of the brain. Provigil is next drug to be added. We are also going to use the laser starting next week to also function on the frontal lobe…the doctor team from the IBRf is amazing (they didn’t tell me that – that’s my commentary). Ahhhh. The colors begin completing the picture. Ryan is still recovering. “A different person”. Nowhere near ideal, or even acceptable, but better. Hope. Promise. 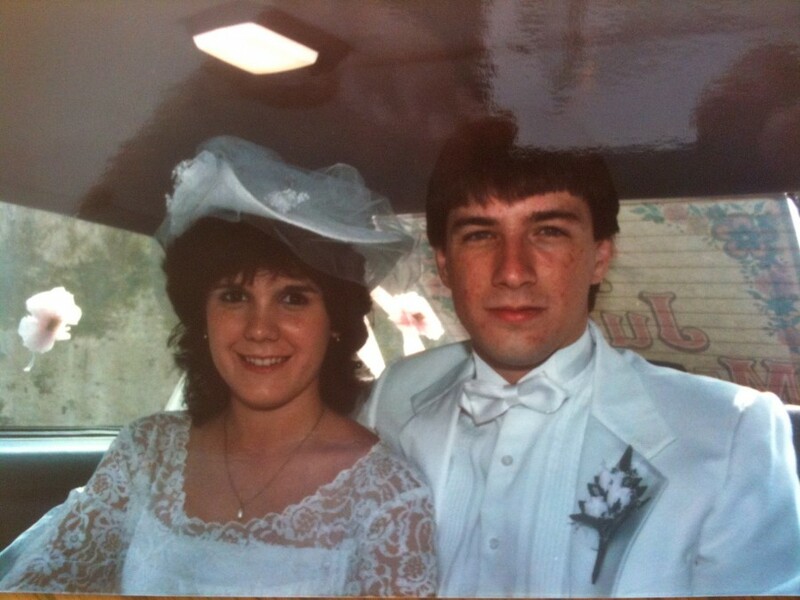 For Sue, Kari, and myself, it was the best day in what is an eternity. Praise be to God!!! This is wonderful news!! Keep doing everything that you are doing, Ken, because you are obviously doing it RIGHT!!!! Yes, HOPE!! Now we know Ryan’s Miracle is in the works. This is good! If not for the IBRF’s work, we wouldn’t know what is happening in Ryan’s brain. I wish they were affordable for all those with TBI, but someday maybe? Pray and trust God. Ken, we (Angelique, Sean and myself) are so happy to hear that there are signs of recovery! I am sure that your devoted care to Ryan is the main reason for this improvement. He hears you and feels you at his side daily and knows you there for him. We love good news. Wow – that is great news. Ken, I think you deserve an honorary medical degree! Tears of joy. Keep fighting Ryan! We know you’re in there! Still here… Always here… Never leaving. All of your hardwork and prayers are working!! Absolutely THRILLED! Ryan can and will only get better because he has a loving family advocating and fighting for him emotionally, physically, and financially every step of the way. (Not to mention all the wonderful people who have your back!) Praise God you are his family, and you will never give up! I also loved reading the post. It was like a suspense novel, but clearly I TOTALLY understood it because I do the same thing you do to get through . Would love to know what medications they have him on unless it is the list you sent me previously. 1. I am not stupid, I am wounded. Please respect me. as you were the first. 5. Approach me with an open heart and slow your energy down. 7. Make eye contact with me. I am in here—come find me. 11. Protect my energy. No talk radio, TV, or nervous visitors! but know that a small amount may wear me out quickly. 14. Introduce me to the world kinesthetically. Let me feel everything. I can move on to the next level. 29. Please don’t finish my sentences for me or fill in words I can’t find. I need to work my brain. play like I used to play that I won’t continue to enjoy music or an instrument. up into a sitting position. I was before. I have a different brain now. about how I spoke, walked, and gestured. as mask my ability to know what it feels like to be me. You know Mike, my favorite thing about the videos is hearing Ken TALK to Ryan, his Ryan, as I am sure he has all his life. Leaning in close, telling him what he is going to be doing, apologizing for the uncomfortable things, messing his hair, getting close like in the background picture on this blog, just treating him with that familiar love. I wonder how much different things would be for Ryan if he had not had Ken, Sue and Kari, loving him and treating him like this all along. Great post Mike, thanks. This is wonderful news! I’m so happy for all of you. God is working his miracle on Ryan!! GREAT news! I’m happy to hear that he is recovering and making improvements. You and your family are amazing. I posted this once early in Ryan’s recovery and am happy to receive this wonderful news that has prompted me to post it again. We Tiplady’s love Ryan and the Diviney family. We are still here and always will be. We praise the Lord for his wonderful healing powers and ask that He continue to bless the professionals at IBRF with the knowledge, skill and healing ways that bless Ryan and his family. Beautiful, Karen. Just beautiful. Thank you so much for posting this!! Myke, thank you for sharing the 40 points. This is such great advice. I saw your post seconds after you posted it. As time goes by, we all sit and witness the miracle in slow motion that Cam talked about in the very beginning. Ryan is NOT the same person. The IBRF is spot on. He is getting stronger and stronger and stronger, everyday, some days every moment. Matthew 17:20 says ‘… I tell the truth, if you have faith as small as a mustard seed (which is tiny! ), you can say to this mountain, ‘Move from here to there’ and it WILL move. Nothing will be impossible for you.’ We can move mountains! You can, Ken, because you know Him. Those of us who believe in Him, through us His mighty power moves. All it takes is our belief, and HE moves the mountain. The Bible also says that, ‘He has made all things beautiful, in His time.’ Ecclesiastes 3:11. God could have healed Ryan in an instant months ago, if that brought God the most glory. Or, He can heal him slowly so that all the world be brought to their knees, for Ryan’s sake. Sam Durham posted some time ago that, not only was every state represented, standing in prayer for Ryan, but that his prayer warriors were located abroad as well. 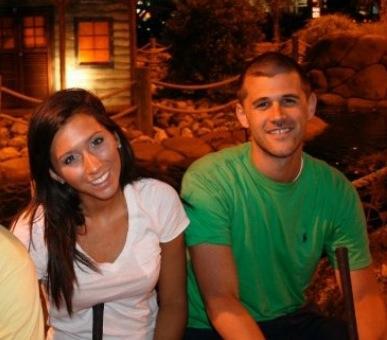 Many colleges stepped up to the plate to pray for Ryan. Ryan’s healing has impacted millions! The media picked it up, Peter Walsh gave up his Saturday afternoon to come to Ashburn to reach out and support Ryan, and what about the wonderful Declutter representatives, Buffalo Wings Factory, Radiance salon, the golf tournament, the Rotary club, Ruby Tuesdays, Barksnbubbles? And these are just the most recent outreaches. Who can forget dear Katie Mesmer? If there was a need to be filled, she had it done before you knew it. All in the midst of a very painful trial herself. And Cam. Talk about loyal. Don’t get me started, there’s not room enough to include all who have been loving Ryan all these months. Isaiah 61:1,2c,3 speaks of bringing beauty from ashes. ‘the Spirit of the Lord is upon Me (Jesus)…. To comfort all who mourn…. To give them beauty for ashes, the oil of joy for mourning, the garment of praise for the spirit of heaviness, that they may be called trees of righteousness, the planting of the Lord, that He may be glorified.’ There’s nothing more dead and gone than ashes. They are gone. And yet, our resurrection Lord can bring life, beautiful life, from death. Jesus Christ is proof. I know these months have been heart-breaking for you and Sue and Kari. Undeserved is an understatement. But God does have a plan, He is working in it right now, and Ryan IS coming back. Right now. Keep the faith, Ken, even if it is as small as a mustard seed, that seed is moving Ryan’s mountain. 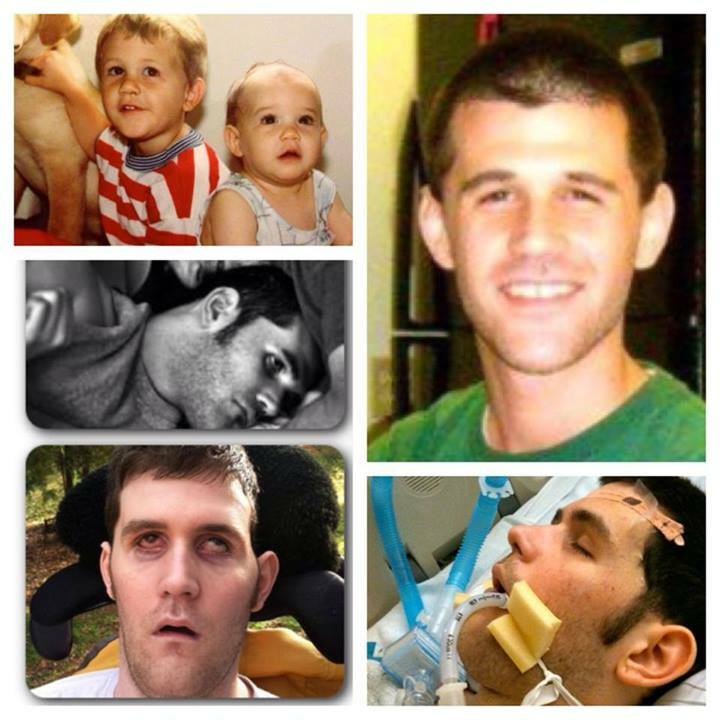 God is bringing Ryan’s beautiful life back, the Diviney family life back, in His time, that we all may see and glorify Him. And though some not-so-bright doctors may have wanted to give up on Ryan at some point, he’s coming up from the ashes, right now, as I write. One more Word to think about. Hebrews 13:5 …God has said, ‘Never will I leave you, never will I forsake you.’ He’s been there all along, Ken. And never is a long… time. I’m signing off to go praise Him who is bringing our Ryan back. None other than the Creator of the universe, our Lord and Savior, Jesus Christ, the indwelling awesome Holy Spirit, all in one. All of this, just on time for Easter….. He will sit as a refiner and purifer of silver. All along we’ve been saying God’s timing is not our own (though we have been gently nudging Him! )…I’ve said that God is perfecting His plan for Ryan. In laymen’s terms, He’s “spitting and polishing” Ryan to make him shine. 🙂 Ryan, you are doing amazing buddy! Carla, I thought you already were nuts! 🙂 Nuts about our Lord, and our boy, Ryan. Me too. Today is a day to celebrate!! Thank You, sweet Jesus! THANK YOU, CASS, TEAM DIVINEY PRAYER WARRIOR. GOD IS WITH US, AND HE CARES! Amen to that, Jo! Thank You, Lord for all of the loyal pray-ers out there. God is working through all of you! Cass, thanks for reminding ALL of this truth! I am in tears, again, Ken, reading your post. What wonderful news. And also in tears, reading these replies, including this one from Cass! SHSP in PGH. I simply want Ryan to fully come back to his family, Lynne. Thank God that we have a God who can do that. All we need to do is believe. So now we understand why Ryan struggles so hard to speak — he moves his mouth to form words but can’t get them out…(yet). He can nod “yes” to answer a question, and now, sometimes, he seems to shake his head “no.” He can often move his left hand when asked by his parents to do so. Ryan is fighting to recover. Ken, thank God for you and your dedication and determination to help your son find healing. Thank God for Kari and Sue, family members, Ryan’s high school and college buddies, and all the wonderful neighbors and community members who believe in Ryan. Thank the Lord for Dr. Rodriguez, Dr. Hinkle, Dr. Wiger, the IBRF team, WVU family and Morgantown, Declutter for Diviney group, Peter Walsh, Rotary Club, and *all* the people who see a young man full of promise who just needs people to believe in him and give him a helping hand. The world is not such a terrible place — there is much good in it, still — in Team Diviney I have seen it with my own eyes. Keep the love and prayers coming…in addition to the medicine, these are the game changers. Paula ,prayers will never cease for Ryan…….. I heard about you and your family after coming across the video of your appearance on an early morning show (GMA maybe?) I have followed your blog ever since and am amazed at you and your family. The love you have for your son is so apparent and, like the others on here, it is the reason he is making such great strides. Although I have never met your family, I check your blog daily and pray for the post that says “Ryan woke up!” I got goosebumps as I read your post this morning. God Bless you Diviney family and Ryan and Karri are so blessed to have parents as loving and dedicated as you are. Praying for you from Texas. YAY!!!!! This is wonderful news! Go Team Diviney! Oh my gosh, I have goosebumps. “A different person” just from January to Apri, that so quick! I’m not on the god squad but believe in something higher than myself! You guys ROCK! I’m so excited to hear this great news!! I’m going out to dinner at Ruby Tuesdays tonight! and telling everyone I know about it! People often say they “just have a feeling” about something. Most of the time, at least I find, they are wrong. Well, I hope and hope and hope my feeling is real. I read your posts and ache for you, your family and your precious Ryan. But today, I had a feeling, reading your news, that Ryan will recover. The story will be one of miracles and the word unbelievable will be used over and over. 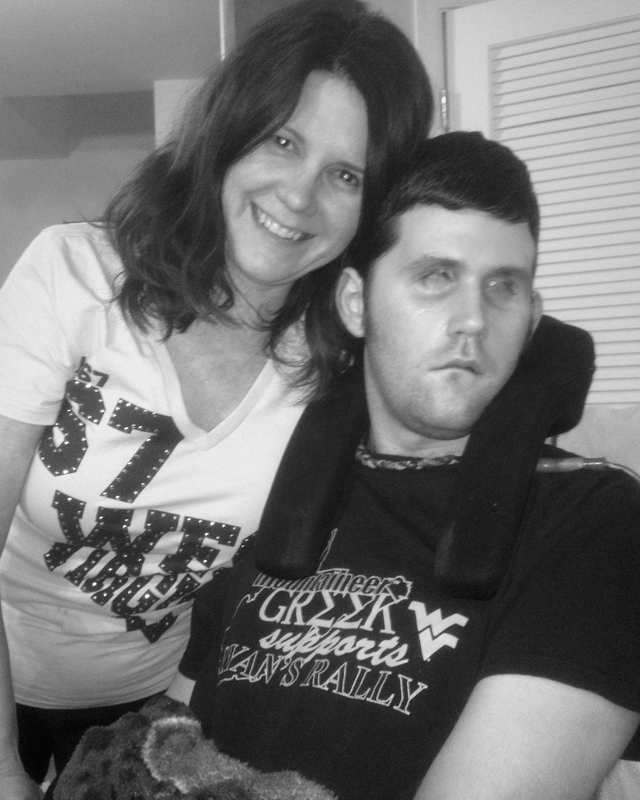 I am praying for an unbelievable miracle for Ryan…I feel it is happening!!! I agree with you, Jennifer. I believe the hope that we all want to believe in was given new breath today. What we knew all along in our hearts, Ryan’s potential to heal, is coming true. Perfect faith is as if it has already happened. As we view Ryan’s healing that way, we line up with God’s way of thinking, and the miracle occurs. Let’s hope that the Green Bay Superbowl is the last one you ever miss seeing with Ryan. WOW! This is really great news, your hard work, sleepless nights and non-stop care are starting to show some payoff! Now we have to continue the fundraisers so you can continue with the IBRF treatment. God is doing his work. We continue our prayers. Excellent news!!!!! Recovery!! What more could we ask for. The human body is an amazing thing. Keep healing Ryan. God Bless each of you and your strength! You are each in God’s Hands and this miracle is HUGE! Praise God and Keep doing what you are doing! Such great news!!!!!!! Still praying for more good news!!!!!!! I’m so thrilled for everyone in the Diviney Family – this is just what we’ve all been waiting to hear~~ Looking forward to more and more good news. Stay Strong Ryan – we know you’re there~~Great News!!! Way to Go Diviney Family!!! Just more proof that RYAN is reaping the rewards of YOUR unwavering diligence to be sure that HIS CARE is EXEMPLARY- much like the beautiful family constantly surrounding him. Beautiful. FANTASTIC! IN EVERY aspect! RYAN WILL PREVAIL! Fantastic news!!!!! Continued prayers for you and your family Ryan! Keep fighting, you are making progress with god and your family’s help! They are with you always giving you the strength to continue to get better! What wonderful news! I have been following your blog for months now and always come on here in hopes of a miracle for you all. Looks like this is a huge step in that direction, a step closer to Ryan waking up and truly being reunited with such a loving family! Prayers for that to happen very soon! 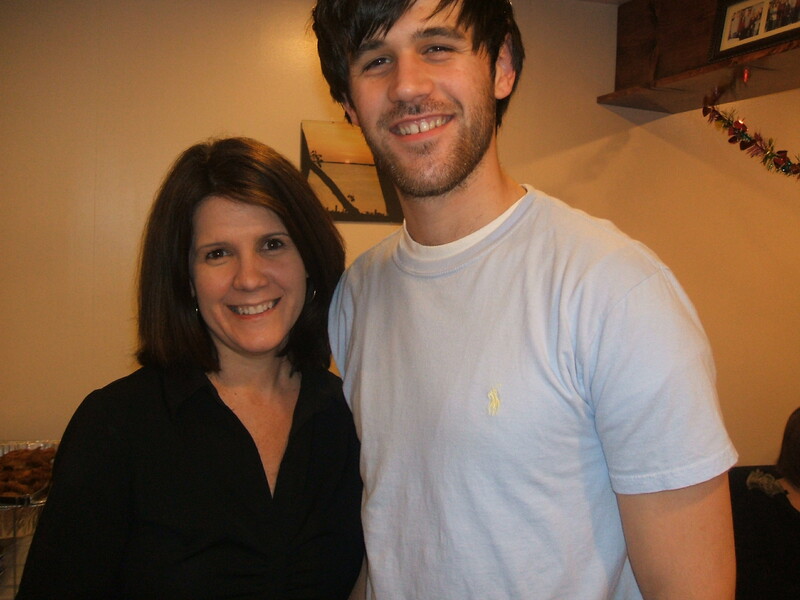 Its like i have said all Long “Hold onto faith” Ryan is gonna be a Miracle! Just sat down at my desk at work and, I must say, this is an amazing way to start my day! 🙂 Was just praying for you guys last night. Honestly, this news just encourages me to keep at it, keep hoping and keep believing.